A specially formulated gum that releases controlled amounts of nicotine into your body to help you deal with cravings and withdrawal symptoms. 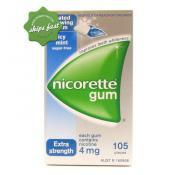 Stop Smoking With Nicorette Icy Mint Nicotine Gum! 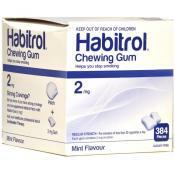 Control your cravings when you quit smoking by supplementing cigarettes with nicotine gum. 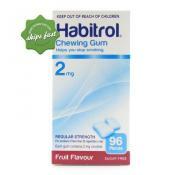 Habitrol 2mg Fruit Gum 96s helps smokers by providing an alternative source of nicotine in order for them to eventually quit smoking. 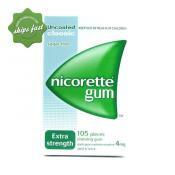 Nicorette 4mg Classic Gum Extra Strength is a kind of nicotine replacement therapy that helps smokers quit smoking as well as withdraw from nicotine dependence. 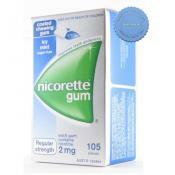 Extra Strength of 4mg nicotine is suitable for heavy smokers -- those who smoke more than 20 cigarettes per day. 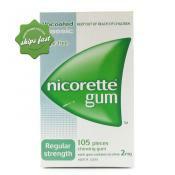 Nicorette 2mg Classic Regular Strength Gum is a kind of nicotine replacement therapy that helps smokers quit smoking as well as withdraw from nicotine dependence. Regular Strength is suitable for those who smoke 10 or less cigarette per day.